The move came less than 24 hours after Salinas served the board with a temporary restraining order and lawsuit. The housing authority board voted to terminate Salinas as executive director during its Oct. 10 meeting, a decision she later argued was void on account of notice of the meeting not being posted 72 hours in advance, per the Texas Open Meetings Act. When the board attempted to ratify its decision to fire her during a meeting scheduled Monday, board chairperson Maricruz Sifuentes was served with a TRO preventing her from holding the Oct. 15 meeting. During Tuesday’s meeting, Sifuentes, board vice-chairperson Sylvia Garces-Valdez and board member German Reyna voted to remove Salinas as an authorized signature on the housing authority’s three banks accounts for Low Rent Operations, Housing Choice Voucher Operations and La Joya Housing Non-Profit. Signature authority allows someone to write checks and withdraw and deposit funds. Juan Jose Garza and Sandra Gomez Garza were also removed as authorized signatures from the Low Rent Operations and Housing Choice Voucher Operations accounts. Garza, who is currently serving a three-year prison sentence for wire fraud, was executive director until his September 2016 arrest, at which point Salinas was appointed to replace him. Gomez Garza has not attended a board meeting since February 2017, according to Sifuentes. Those in attendance Tuesday also voted to remove board member John J. Pena, who previously served as board chairperson and was not present at the meeting, from the La Joya Housing Non-Profit account on which his served as the second signature on the account with Salinas. 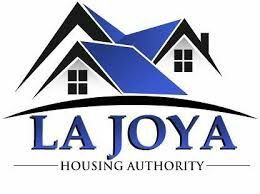 “We had found that funds were transferred from federal accounts into the account titled the La Joya Housing Non-Profit, and those funds were spent on ineligible costs,” said Cristi LaJeunesse, a consultant who has advised LJHA since June 2017. She declined to comment on how the funds were spent. The board approved adding Sifuentes, Garcas-Valdez and LaJeunesse to the housing authority’s three accounts, also adding administrative assistant Blanca Valdez to Low Rent Operations and Housing Choice Voucher Operations accounts. During Tuesday’s meeting, Sifuentes, Garces-Valdez and Reyna voted to re-enter into a consulting agreement with LaJeunesse, in which LaJeunesse “shall serve as the acting executive director of the LJHA for an indefinite term …. (and) shall exercise all authority of an executive director of a Texas public housing authority … “ according to the agreement. LaJeunesse currently serves as executive director of the Kenedy Housing Authority, a position she has held since 2002, and has previously provided consultation services and assistance to the Three Rivers, Goliad and Cuero housing authorities. Per the agreement with LJHA, she will be paid $4,000 per month. As per the TRO, the board cannot take any action on ratifying its decision to terminate Salinas until the Monday, Oct. 29 hearing on whether the TRO will remain in effect, which will be heard by Hidalgo County Court-at-Law Judge Albert Garcia. Pena, who was also absent during the Oct. 10 meeting, told The Monitor he opposed the decision to terminate Salinas. “I think her job is excellent,” he said. Salinas’ father, La Joya Mayor Jose A. “Fito” Salinas, called the move to fire his daughter politically motivated, seeing that she is running to keep her Place 2 seat on the La Joya ISD Board of Trustees. He claimed there was not sufficient cause to hold Tuesday’s emergency meeting, citing the Texas Open Meetings Act.